I maintain an active Facebook profile with more than 1500+ friends in my list. Honestly, I don’t even know 75% of them but it’s all about networking and at times I end up finding some awesome people and get to know about new entrepreneur and blogger from my List. Though, adding people is easy but I often wonder if there is a way to track who deleted me on Facebook. This way, I can analyze what people don’t like about my updates or my actions on Facebook. Specially, when a prominent person ends up unfriending you on Facebook, it’s an alarming situation and for everyone who is using Facebook for marketing and networking, it’s time to re-analyze our social media strategy. After all, Social networking site is all about networking and engagement. 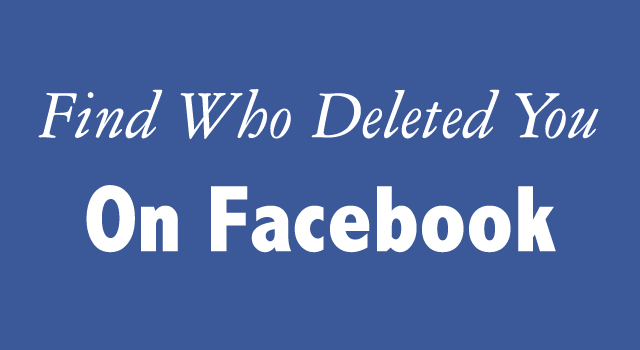 Who.deleted.me is a useful service which let you monitor new people you have added in your friend list or people who have deleted you on Facebook. This is a 3rd part web app and I have been using it for some time but I have never noticed any kind of spam message or issue with this app. This app is easy to use and all you need to do is login with your Facebook profile and give it access to your account. 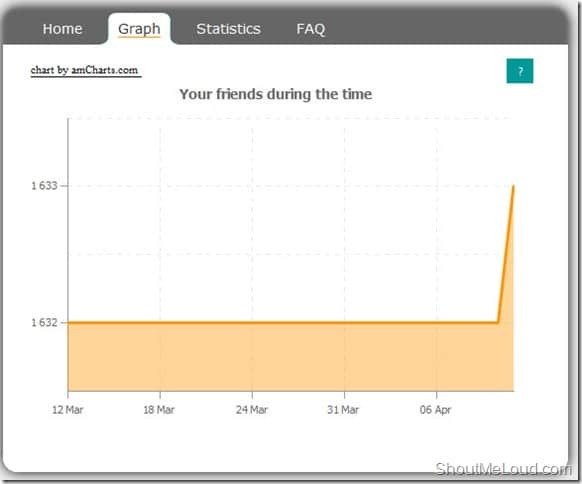 Along with finding who deleted you on Facebook, Who.deleted.me offers stats and graph, which shows how your friend number graph increased or decreased over the time. 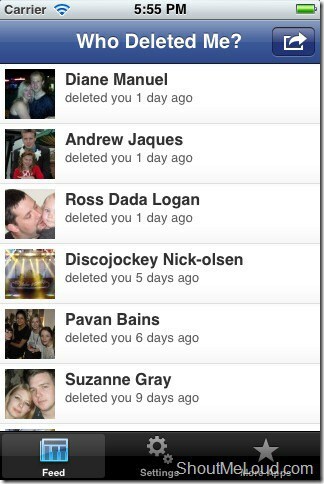 Who.deleted.me is a free option and other method is by using a paid iPhone app call Who deleted me. Though, this app lacks historical data but if you are an iOS user and don’t mind paying for paid app or else using Installous, you can always use this app for quick access. Though, before you spend $0.99 for this iPhone app, I would suggest you to try the first option as it works great and over the time, you can see all the people who have unfriended you. Now, just don’t sit and see the number rising, but analyze why people are deleting you from their list. If it your self-promotion updates or your updates are not adding any value. Have you offended anyone or some of your action might let them delete you. 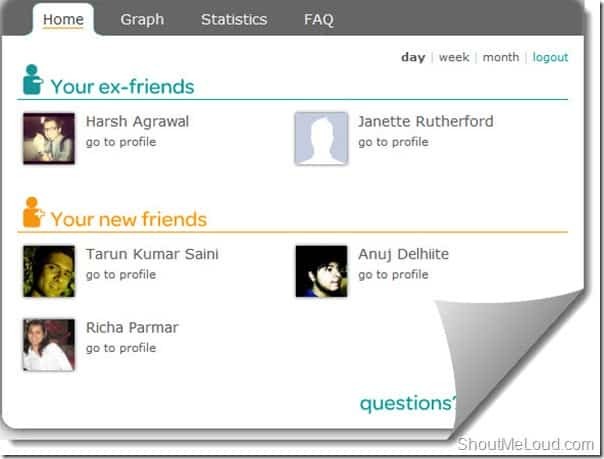 Do you know about more such app or tool which let us find who deleted you on Facebook. if you find this app useful, don’t forget to like and share it on Facebook.